An old friend, this Coigue tree, perched on it's little ledge above one of the windiest lakes on Earth. Just surviving. 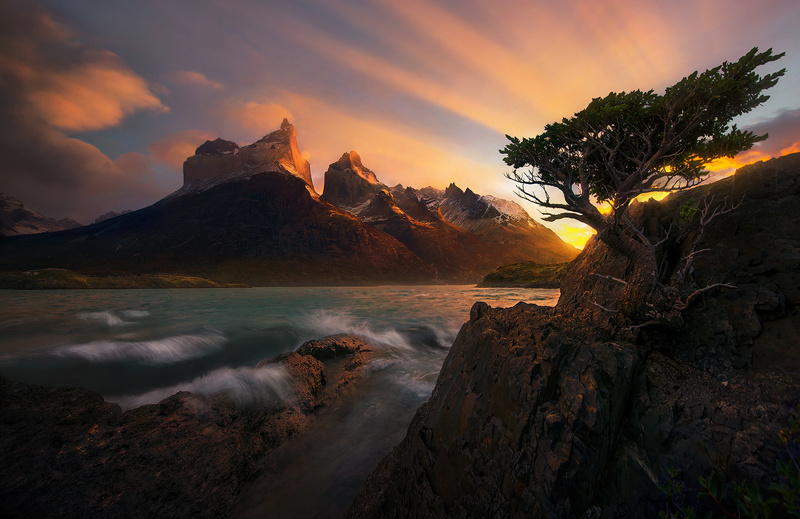 The sunrise this morning did it a little tribute, I'd say. . Photo © copyright by Marc Adamus.